On Friday, March 23, 2018, the museum honored Dr. Guido Goldman with the George Hewitt Myers Award for his lifetime achievement in furthering the field of textile arts through his efforts to raise international appreciation of the art of Central Asian ikat. Additionally, Dr. Steven Knapp and Louis H. Katz were honored with The Textile Museum Award of Distinction in recognition of their roles in establishing The Textile Museum’s affiliation with the George Washington University, which has significantly advanced the museum’s mission. The event took place at the InterContinental Washington D.C. – The Wharf. With great pleasure, the Board of Trustees of the George Washington University Museum and The Textile Museum honored Dr. Guido Goldman with the 2018 George Hewitt Myers Award for lifetime achievement in the textile arts. Recognized as the highest international accolade in the textile arts, the award acknowledges Dr. Goldman’s exemplary leadership as an internationally respected collector, benefactor, and institution builder. A lifelong devotee of the arts, in 1975 Dr. Goldman first encountered Central Asian ikats, an art form that employs a sophisticated resist-dye technique to create vibrant abstract patterns in dazzling colors. He subsequently became a passionate collector and went on to build the world’s premier ikat textile art collection. This pursuit led to preservation, education, and a widespread public interest that was influential in the modern revival of Central Asian ikat technique and design. In the late 1990s he organized a stunning exhibition drawn from his collection traveled to major museums in six cities. Concurrently, he produced what is recognized as perhaps the best art book ever published of a single textile collection, IKAT: Silks of Central Asia, the Guido Goldman Collection. Today’s widespread public appreciation of ikat textile art is experienced in art, design, fashion, and in the decorative arts. More than simply the foundation of the revival of modern ikat production in Central Asia, Dr. Goldman’s influence led to the preservation of antique ikat textiles worldwide and inspired scholars to engage in new research that preserved this important cultural heritage. Subsequently, popular culture and decorative arts have integrated ikat design into the lexicon; for example, iconic designers such as Oscar de la Renta and Diane von Furstenberg have incorporated ikat textiles into their brands. In 2015, Dr. Goldman donated his favorite 73 ikat textile panels from his collection to The Textile Museum in honor of Bruce P. Baganz, growing the museum’s holdings to one of the largest and most prestigious collections of Central Asian ikats in the world. Highlights from Dr. Goldman’s collection will be on view at the George Washington University Museum and The Textile Museum in Binding the Clouds: The Art of Central Asian Ikat (March 10 – July 9, 2018) with a simultaneous exhibition of other Goldman donated ikat textiles to the Smithsonian at that institution’s Freer-Sackler Galleries. 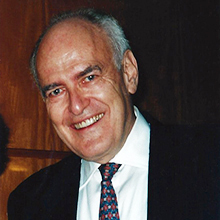 Dr. Goldman’s distinguished career includes being the Founder and former Chairman of the German Marshall Fund; former Vice Chairman of the Alvin Ailey American Dance Theater; Director of German Studies at the Minda de Gunzburg Center for European Studies at Harvard University, for which he served as Founding Director for twenty-five years; Director of the German Kennedy Memorial Fellowship and the McCloy Scholars programs at Harvard University; Vice Chairman of the First Spring Corporation; and a board member of the National Parkinson Foundation. Dr. Goldman’s past board service includes The American Council on Germany, Dance USA, the American Foundation for Textile Art, and the advisory board of Christie’s. He is the 2016 recipient of the Joseph V. McMullan Award for stewardship and scholarship in Islamic rugs and textiles. 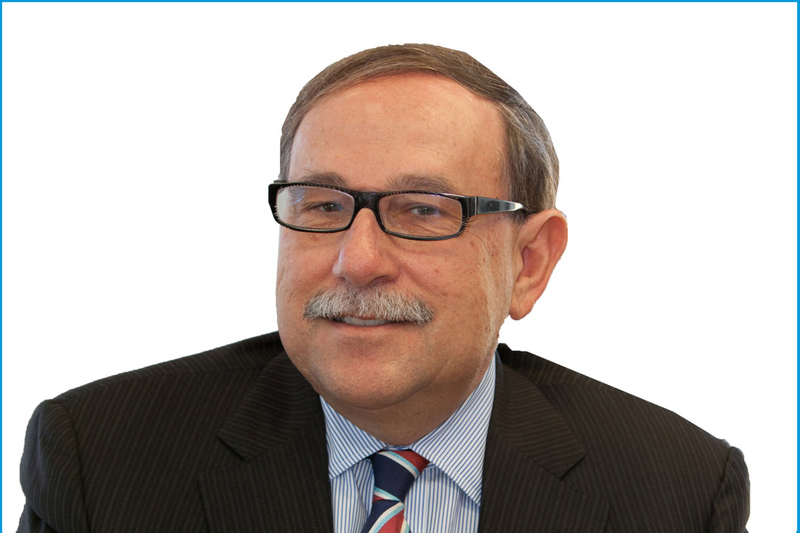 Dr. Goldman is a graduate of Harvard College, BA ’59 and holds a PhD in political science from Harvard University. The Textile Museum’s Award of Distinction recognizes exceptional contributions that have significantly advanced the museum in the fulfillment of its mission. The 2018 recipients envisioned that the George Washington University (GW) should house and support a world-class arts initiative, which led to the unique affiliation between The Textile Museum and GW. The George Washington University Museum and The Textile Museum Board of Trustees is pleased to honor Dr. Steven Knapp and Mr. Louis H. Katz for their support of The Textile Museum and for integrating the museum into the university’s rich academic and cultural life, enabling it to extend its reach and to achieve this next advancement in the museum’s higher aspirations. 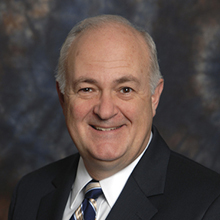 Dr. Steven Knapp served from 2007 to 2017 as the sixteenth president of the George Washington University. One of his priorities was enhancing GW’s reputation and impact in the arts. Informed that the Textile Museum was seeking a new home, he saw a unique opportunity to advance the university’s role in the arts both locally and globally and to meet the needs of an internationally renowned arts institution already distinguished by its commitment to scholarship and educational programming. Under President Knapp’s leadership, the university’s affiliation with The Textile Museum was formalized, followed by the construction of new museum facilities for exhibitions, programs, care and conservation of the collections, and for collection access by the academic community, scholars, and connoisseurs. The success of this affiliation helped lay the groundwork for GW’s innovative partnership with the Corcoran Gallery and the National Gallery of Art and its establishment of what is now the Corcoran School of the Arts and Design. Louis H. Katz, executive vice president and treasurer of the George Washington University with nearly thirty years of service to the institution, understood intuitively how The Textile Museum could be integrated with the GW academic community to the mutual benefit of both organizations. Under his hands-on leadership, Mr. Katz’s legacy is the shared vision of The Textile Museum and GW in establishing their unique affiliation. Additionally, his leadership in design and construction resulted in new facilities for the George Washington University Museum and The Textile Museum on the Foggy Bottom Campus, and the state-of-the-art Avenir Foundation Conservation and Collection Resource Center on GW’s Virginia Science and Technology Campus. Moreover, Mr. Katz’s vision and implementation is a legacy with profound benefits to The Textile Museum’s local, national and international audience, as well as to future generations of students and faculty in the GW academic community.